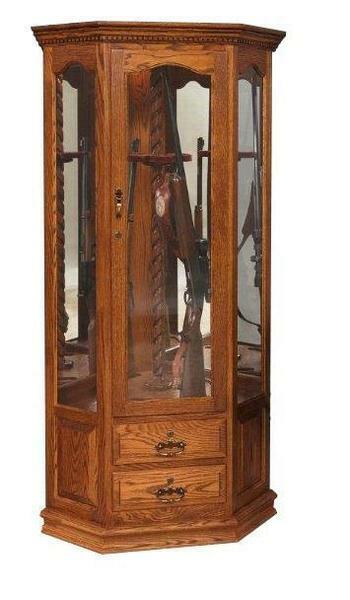 Display your rifle collection in style with this uniquely designed Corner Swivel 12 Gun Cabinet. The brilliant design of the center carousel gun rack allows you to showcase up to 12 rifles by easily rotating the round gun rack within the cabinet. This design also allows you to conveniently browse through your collection to find the right one for your next hunting trip. Get your order started today and customize the look by choosing from the optional features above.